The New Castle County Unified Development Code is quite clear about the requirements. Why isn't it being adhered to? "Forgot the bicycle parking? Maybe no one will notice. 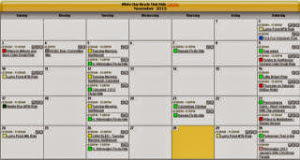 Here is your certificate of occupancy"
Is this, or some variation of this continuing in New Castle County on a regular basis? 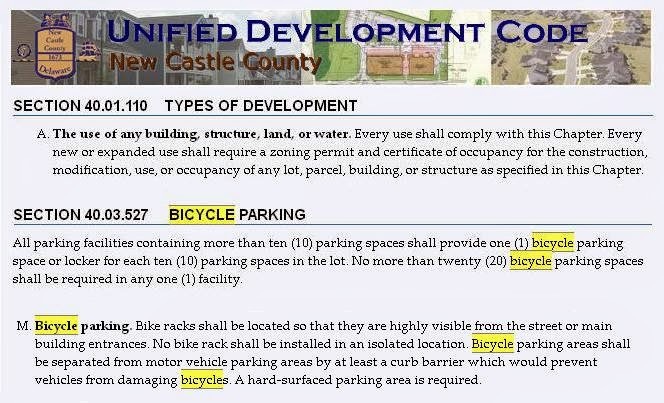 Bicycle parking is a required component of the Unified Development Code, and is supposed to be installed before receiving a certificate of occupancy. 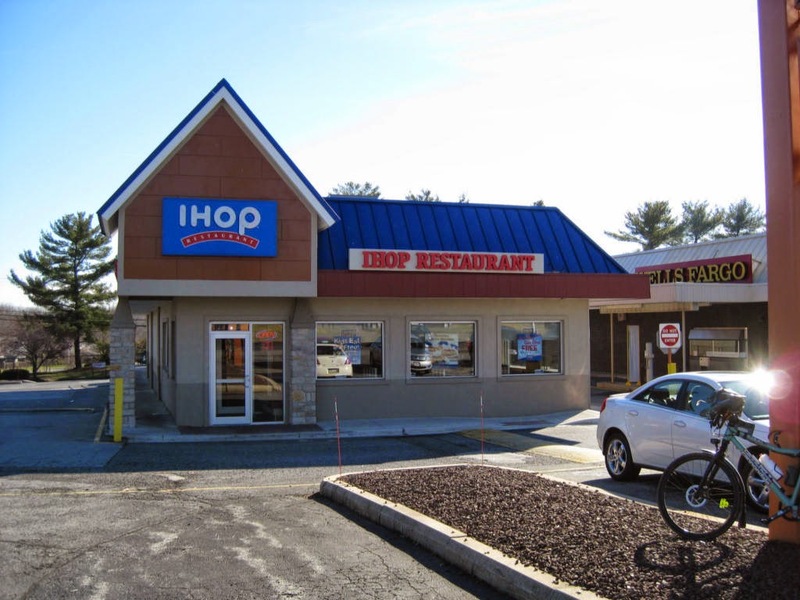 Our latest spotlight falls on IHOP, located in the Meadowood Shopping Center on Kirkwood Highway. First opened in April 2014, there is no sign of a bicycle rack anywhere in the vicinity. 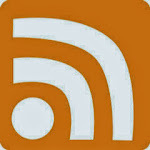 Stay tuned as we contact County officials and find out what is going on. We also need to update the language in the code, to reflect the need for APBP compliant bicycle parking (wheel and frame support). The City of Newark updated theirs a couple of years ago, and at least there, wheelbending "toast" racks should be a thing of the past. Would these same land use inspectors think to leave out car parking? Note: We are not blaming the franchise owners, as the ultimate failure occurred at the final inspection level. Related: How effective is the NCC Unified Development Code for bicycles? Why being the neighborhood “bike guy” is so nice!